Hanoi (VNS/VNA) - Vietnamese midfielder Luong Xuan Truong was named by the-afc.com as one of 10 new signings who can make an impact for their teams in the Asian Football Confederation Champions League. 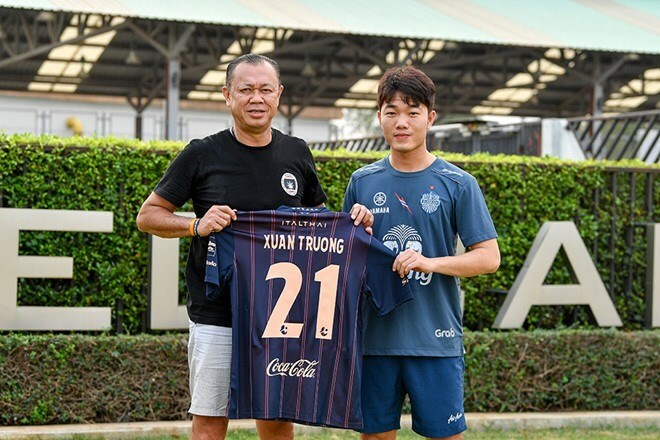 Describing the newcomer at Thailand’s Buriam United, the AFC said Truong was part of a generation of players taking Vietnam to greater heights. He is set to make his Champions League debut with Buriam under a one-year contract on loan from Hoang Anh Gia Lai (HAGL). "The 23-year-old midfielder enjoyed a superb 2018 in which he skippered his country to a runners-up finish at the AFC U23 Championship in China, and then was part of the squad that won the AFF (ASEAN Football Federation) Cup towards the end of the year. "An excellent passer of the ball with fine vision, Truong – who also helped Vietnam reach the AFC Asian Cup quarter-finals in early 2019 – has previously spent time in Republic of Korea’s K League with Incheon United and Gangwon FC," AFC reported. Buriam are in Group G with Beijing FC (China), Jeonbuk Hyundai Motors (the Republic of Korea) and Urawa Red Diamonds (Japan). Truong and his side will open the campaign against the Japanese side on March 6.